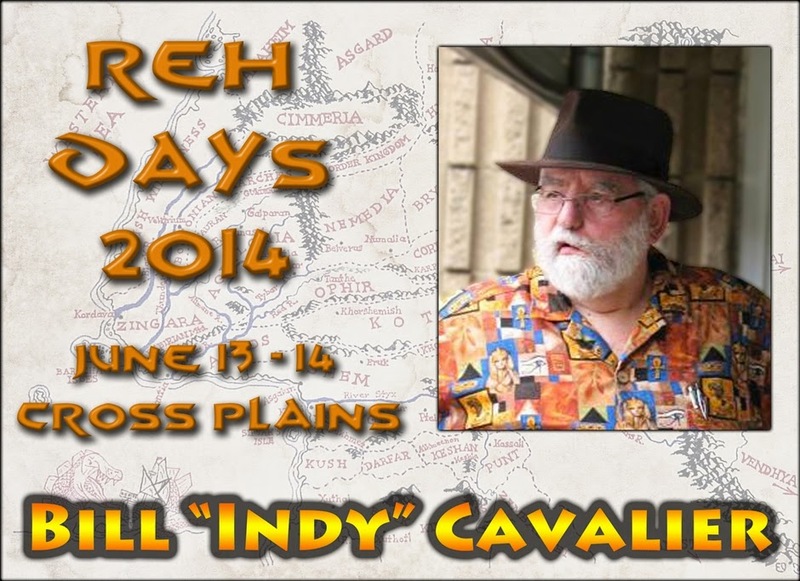 Bill "Indy" Cavalier has long been a fixture in REH fandom and scholarship. He is the Official Editor for the Robert E. Howard United Press Association and serves on the Board of Directors of the Robert E. Howard Foundation. He is also one of the founders of Robert E. Howard Days, attending the first gathering in 1986. Bill’s artwork and essays have been featured in numerous publications including Amra, The Dark Man, The Cimmerian, REH: Two-Gun Raconteur, and REHupa. His article “How Robert E. Howard Saved My Life” received the 2007 Hyrkanian Award. In 2011, Bill was inducted into the prestigious Black Circle for lifetime achievement in REH fandom and scholarship.